IrishEyesPoker.com has always been a trusted favourite of poker players everywhere but the last two years have been especially tough for our business. When the Entraction network closed down we moved to a number of new platforms but none of them delivered the high standards our players have come to expect from us. Now however we've finally reached higher ground and we can see that our players absolutely love what we have to offer now as part of the Hive poker network. Whilst there are plenty of online options available to players these days a lot of skins tend to be very much of a muchness – but now the Hive has come along and players are responding by joining up in huge numbers. We’re fast creating a “buzz” around Ireland and we've started to pollinate into the UK & Europe now too. Maybe that’s why PokerScout is calling us the ‘fastest growing network in the world’ – some praise indeed. 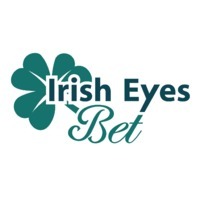 IrishEyesPoker.com is a long standing online poker name, well known especially in Ireland, but also from past associations with the London poker scene. We've signed up with the Hive network and now are players are reaping the rewards from a company that is driven to deliver exactly what poker players want, that’s big tournament guarantees and healthy cash game action 24/7. IrishEyes Marketing Executive Saorla Quinn has been quoted as saying “It’s great that we are able to bring the Hive network to Ireland, the UK and all over the world. We bring some truly unique and dynamic concepts to poker players, via a brand that is well known and respected amongst the poker community. Irish Eyes Poker’s reputation is certainly being enhanced by being part of the Hive network and we look forward to this continuing growth. We hope players will enjoy the experience and benefit financially from all the great poker action too”. One great feature about the IrishEyesPoker site is that it doesn't matter whether you are a PC, Mac, mobile or tablet user we accommodate them all. Most of our players have had the opportunity to ‘test drive’ the software on Irish Eyes and it is safe to say that everyone has been quite impressed. The lobby is a classic and friendly sight, as are the individual tournament lobbies. The table graphics are simple, yet there is an air of sophistication about them. The avatars appear to be hand-drawn, and they’re quite original in a caricature-ish sort of way. Our personal preference is the Bruce Lee character – though Mel Gibson’s Braveheart and the Diego Maradona graphics are also very popular. We’ve mentioned that traffic is picking up and this is making for some great value in the tournament offerings. Omaha players will be delighted to see a great Omaha presence, including a fun little PLO jackpot that resets every 30 minutes for the high hand in that period. Not life changing cash at all, but a juicy little progressive bonus and players are commenting that we have “very soft cash tables” (quote: thePokeriety.com)….bloody waters for those PLO sharks out there! RHBonus // Get 200% Deposit Bonus up to €500! Irish Eyes Poker is also offering an innovative element for a new customer bonus according to Saorla Quinn: “The Irish Eyes Log in bonus appears when you log in, even before you deposit. It then clears over a certain time up to 500 euro total, in 5 euro payments, which allows players of all levels to deposit (even multiple times) in that period and release the bonus 5 euro at a time. Your ‘first deposit’ can be a minimum amount and you can still claim your bonus (unlike almost every other poker room in the world who tie their bonus to the amount of a player’s first deposit)”. It is really refreshing to be able to play a brand new site with new options, features and a glut of different tournaments and events to enjoy. We feel that Irish Eyes will certainly be smiling as it grows within the Hive so watch this space as the buzz gets louder!